Competition time! 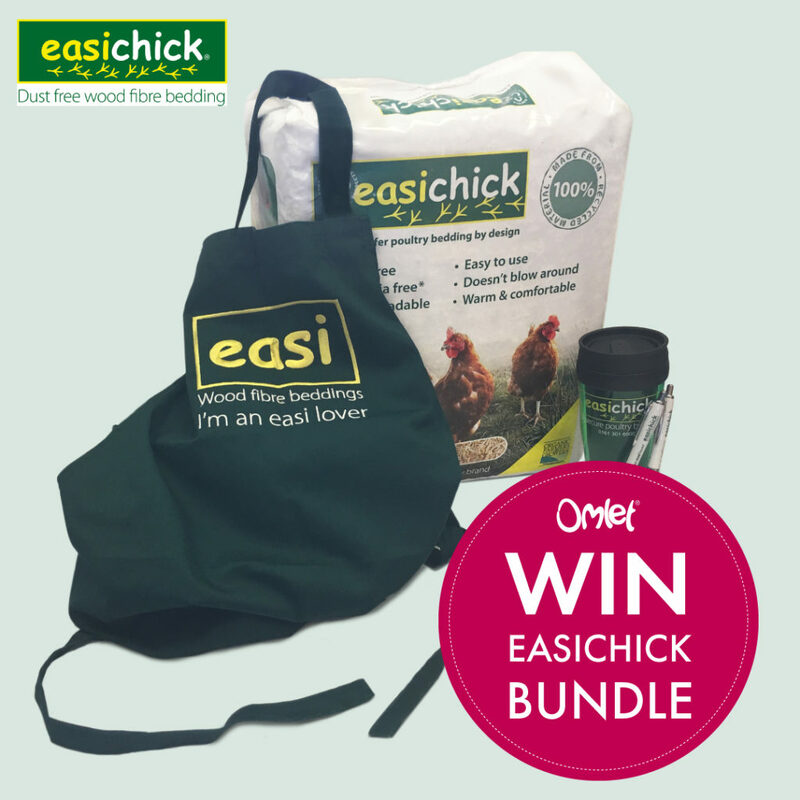 For your chance to WIN an easichick bundle including a 10kg bale of easichick, an easi apron, travel mug and pen – all you have to do is comment on this Facebook post with your favourite photo of your chickens. This competition closes at midnight on the 10th of April 2019. 5 winners will be selected at random to receive the prize bundle. The competition closes at midnight on the 10th of April 2019. To enter please comment on the easichick post on the Omlet Facebook page. Five entrants will win a 10kg bale of easichick, an easi apron, travel mug and pen. The winners will be randomly selected from all entries and notified within 7 days of the competition closing. If the winner does not respond to claim the prize within 7 days of notification, we reserve the right to withdraw the prize from the winner and pick a replacement winner. Omlet and easichick reserve the right to withdraw or amend the competition at any point. Prizes cannot be transferred to cash. This competition is only open to UK residents. This competition is not open to Omlet employees or members of their immediate families. Likewise, it is not open to the Employees of Omlet Partners who may be involved in promoting this competition. All entries must be made on the relevant competition post. The winner agrees to the use of their name and any reasonable requests by Omlet and easichick relating to any post-winning publicity or product research.